If there was one voice in Australian jazz more recognized than any other, it would be that of Vince Jones. Our leading vocalist, interpreter, trumpet player and composer has entertained and informed us for decades with his ever-evolving elite group of musicians. Vince Jones’ music includes original songs and beautiful contemporary versions of jazz standards. His themes are often love, injustice, peace and anti-greed. The heart of his work lies at the crossroads of Afro-American blues and the melodies of the Celtic folk tradition. The songs he chooses – written by him or by others – always make an original, personal statement. As in the best jazz and improvising styles, Vince Jones understands that the moment of creativity occurs at the point of execution as much as it does at the time of the original composition. He walks that line with finesse and respect. 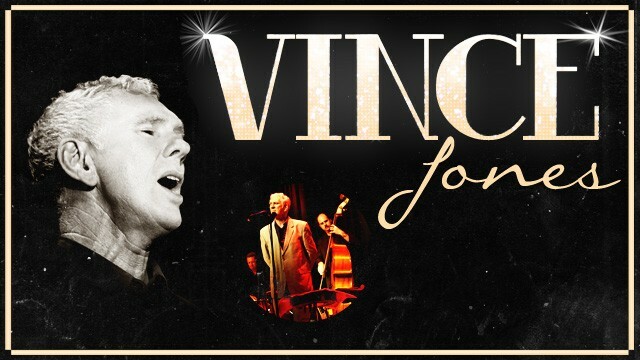 Since his career began more than 30 years ago, Vince Jones has released 14 albums to critical acclaim. Though never a mainstream artist, he has always been popular, demonstrated through album sales figures and audience numbers. He has toured extensively in Europe and the US and continues to play regularly to loyal fans around Australia. Vince Jones’ latest offering is Modern Folk, a compilation of songs recorded live on different stages around Australia, released through Vitamin Records. He records and tours with a band comprising musicians who are highly regarded in their own right, including Matt McMahon on piano, Simon Barker on drums and Ben Waples on bass. 8.30PM – 9.15PM First set / showtime. 10.00PM – 10.45PM Second set.